A new compact will help a tech company expand operations into Hicksville. New Hyde Park, NY - December 20, 2013 - Nassau County Executive Edward P. Mangano today announced the approval of an Industrial Development Agency (IDA) economic development compact that allows Designatronics - a high-technology manufacturer now located in New Hyde Park - to expand its operations in Hicksville while retaining nearly 240 jobs and adding 20 new employees to its workforce. 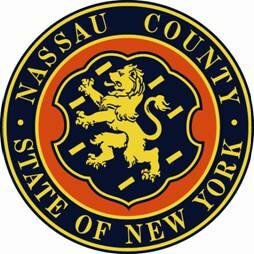 The project is expected to generate $217 million in economic benefits for Nassau County’s economy. Designatronics will consolidate its operations at 250 Duffy Avenue into one of the largest industrial buildings in Hicksville. The company plans to purchase and renovate the existing 100,000-square-foot building at a cost of $11.25 million. They are currently in 98,000-square-feet of leased spaces. Renovations will also create 150 full-time equivalent construction jobs. Designatronics is the nation's leading manufacturer and distributor of small mechanical, electro-mechanical motion control components and sub-assemblies. Through its subsidiaries, Designatronics sells to original equipment manufacturers and equipment users in medical, office equipment, plant maintenance, electronics, computer, communications and other industries. Subject: LongIsland.com - Your Name sent you Article details of "Mangano Helps High-Tech Manufacturer Create And Retain Local Jobs"